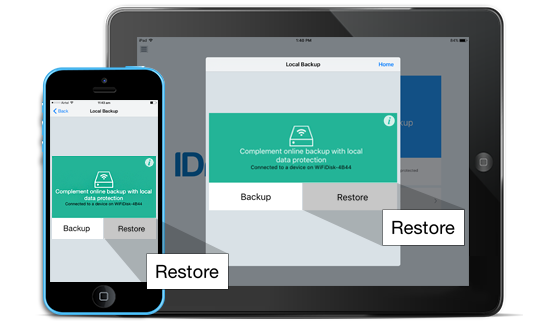 You can conveniently backup all of your mobile devices to the IDrive Wi-Fi device, using the IDrive mobile app. 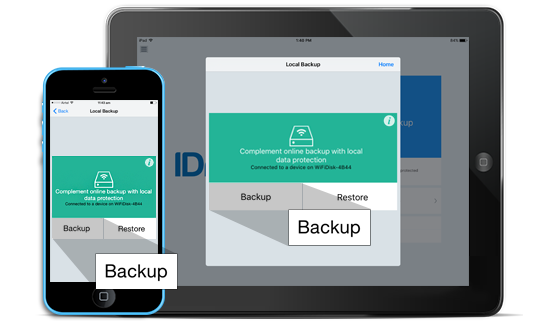 IDrive Wi-Fi lets you securely store your photos, videos, music and more from various devices, without the fear of losing it. Log in to the IDrive application with your Username and Password.